First, I’d like to thank everyone who has taken the time to ask about the upcoming sequel to SOVRAN’S PAWN. It’s taken a bit longer to crank out than expected because the plot is a bit more complex than the first book in THE BLACK WING CHRONICLES. I’ve been weaving in plot threads that will be explored in the companion series THE MERCENARY ADVENTURES OF BLADE DEVON and in the final book of THE BLACK WING CHRONICLES series, BARRON’S LAST STAND. The old saying goes that the devil is in the details, and I’m inclined to believe it. The details have been giving me fits as I’ve been cross-referencing jewelry, clothing color, conversations, and making sure that a tiny little fact, off-handedly tossed out in Chapter One and referenced in Chapter Fifteen, coincides with the major plot point it sets up in BARRON’S LAST STAND. Just last night, I realized that I’d cut a scene that contained pertinent details referenced in later chapters, a short story and at least two other books later in the time line. In the end, I hope my readers think it’s worth it. 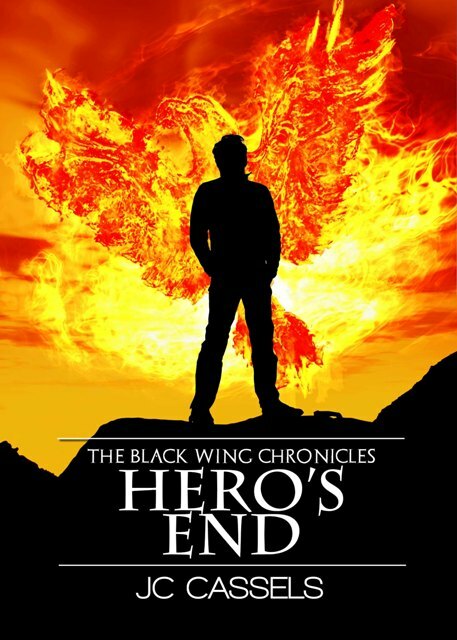 Very soon I’ll hand off HERO’S END to my editor, Laurel Kriegler, for her final polish. When final edits are done on her end, I have the formatting to tend to and the proof copies to preview. My proofreader, Jessica Kramer, will go over the proof copy with bulldog tenacity and she’ll call me with a dozen corrections or more. Then and only then will HERO’S END go to print. Some of you have asked about pre-ordering a copy. As soon as I have the copy (and page count) complete, I’ll have a better idea of paperback pricing. I’ll post a pre-order link here at that time. Not to worry, I’ll scream it from the rooftops so everyone hears about it. Thank you again for all your support and encouragement. I look forward to bringing you more adventures from my favorite Interstellar Man of Mystery and the Scourge of the Seventh Sector.